Annelie "Sunshine" Ortiz has had a passion for making other people feel beautiful since jr. high school, and when she went to Marinello School of Beauty in San Mateo she turned her passion into art and has been making people look and feel beautiful ever since. She prides herself in empowering the women she works by showing them their full potential. She truly enjoys giving every client her undivided attention and listening to exactly what they want and making them feel as comfortable as possible. Her friendly nature and attention to detail make sitting in her chair an enjoyable and entertaining experience. Annelie also has experience with boudoir photo shoots, makeup/hair weddings, makeup lessons, fashions shows, graduation make-overs as well as San Francisco Private events. Sunshine is a licensed cosmetologist and Wowpretty makeup Instructor. Triple certified Makeup Artist. 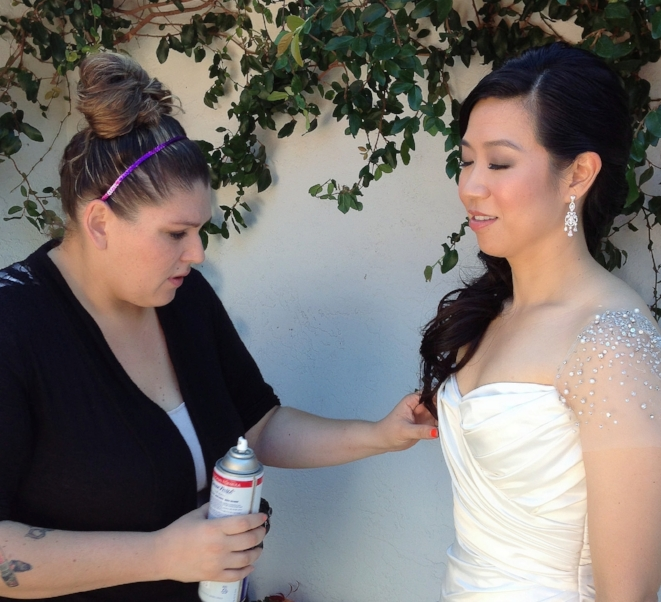 Certified in airbrushing by TEMPTU PRO, also certified in make up by KRYOLAN Professional makeup.